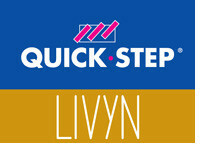 We offer trade prices (to the public) on the Quick Step Pulse Glue range of flooring by Livyn along with a first class service. You can browse the entire range below, please feel free to email us here or call us on 01625 876 387 for free help and advice or to see what discounts or special offers are currently available, and to order free samples (you can also order samples here). Livyn’s pulse glue plus is a high quality luxury vinyl flooring (LVT) that is suitable for any room, including kitchens and bathrooms. It is available in a range of styles and Floorbay also provide the Quick-Step range of accessories including underlay, finishing profiles and adhesives. Quick Steps Pulse Glue Plus is a very affordable choice, especially when compared to the “big name” brands – saving you money.